A few months ago, Marc and I were invited out to a barn to do some picking. 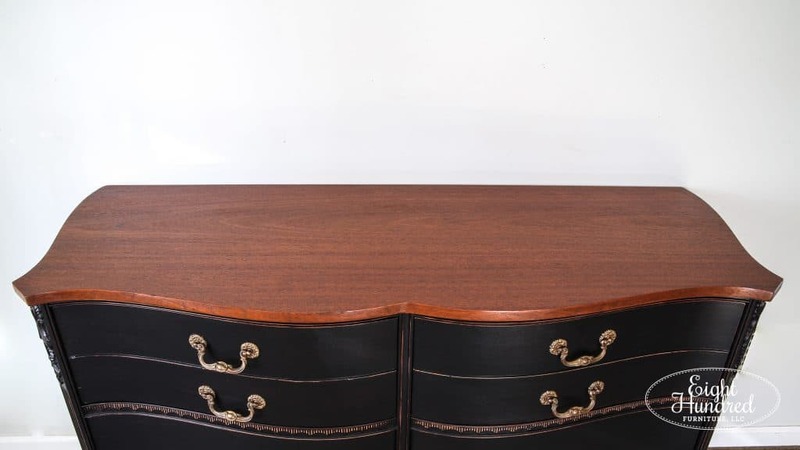 This beautiful mahogany dresser was one of the pieces I bought during the trip. 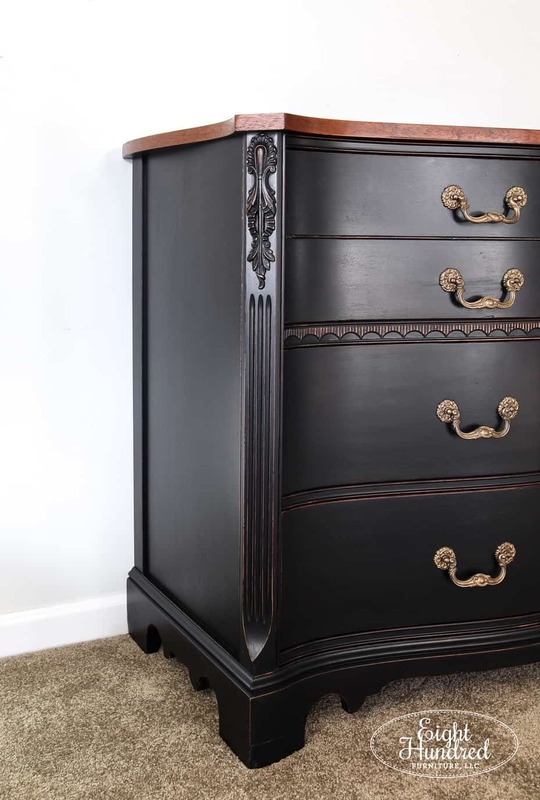 Because it had a dark mahogany stain, and I needed a super quick makeover, I opted for a classic color choice – Lamp Black by General Finishes Milk Paint. 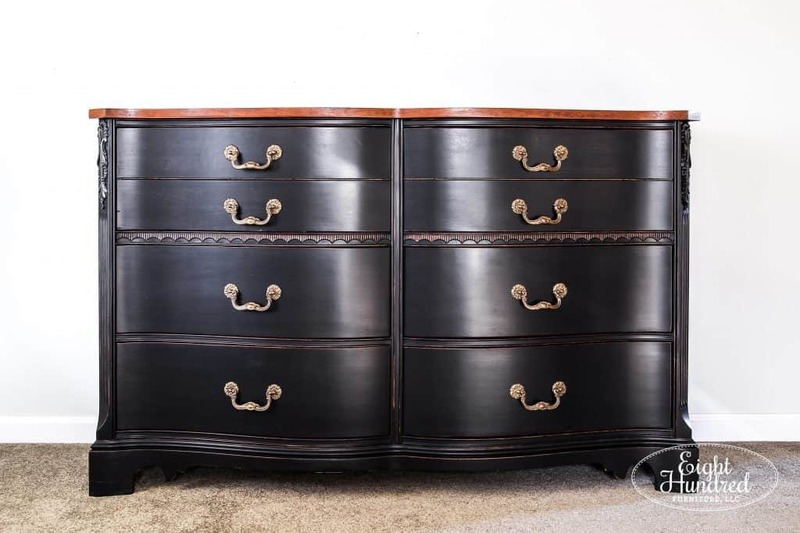 Black never goes out of style, so I was confident in this color choice for such a large piece of furniture. Plus, I didn’t want to deal with any bleed-through, so black it was! The lines on this piece are incredible. 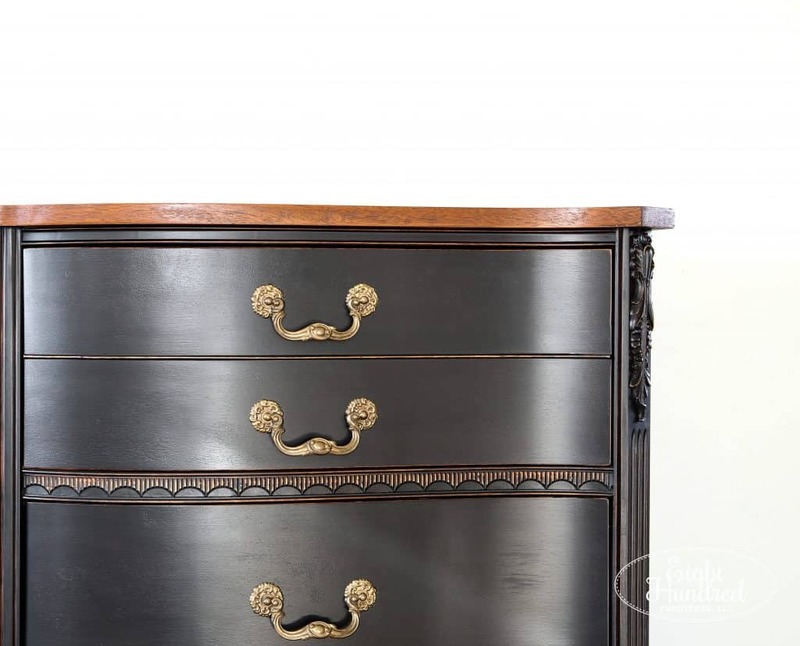 It has a curved sweetheart front and lovely bowed drawers. The ends have the most beautiful onlay! To draw your eye to the details, I gently sanded the edges, revealing the mahogany wood underneath. The original finish had begun to crackle and wasn’t 100% smooth. I gave the surface a scuff sanding with 400 grit sandpaper to get rid of anything that was loose in the finish, but I didn’t stress about getting the surface perfect. 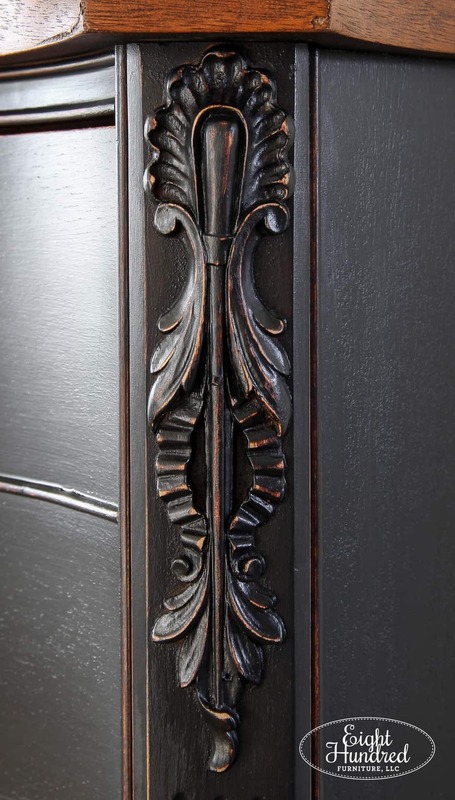 This piece was in a barn for who knows how long, so the finish reflects that history a bit. Now I did finish sand, so the paint is smooth to the touch, but you can still see the original texture underneath. 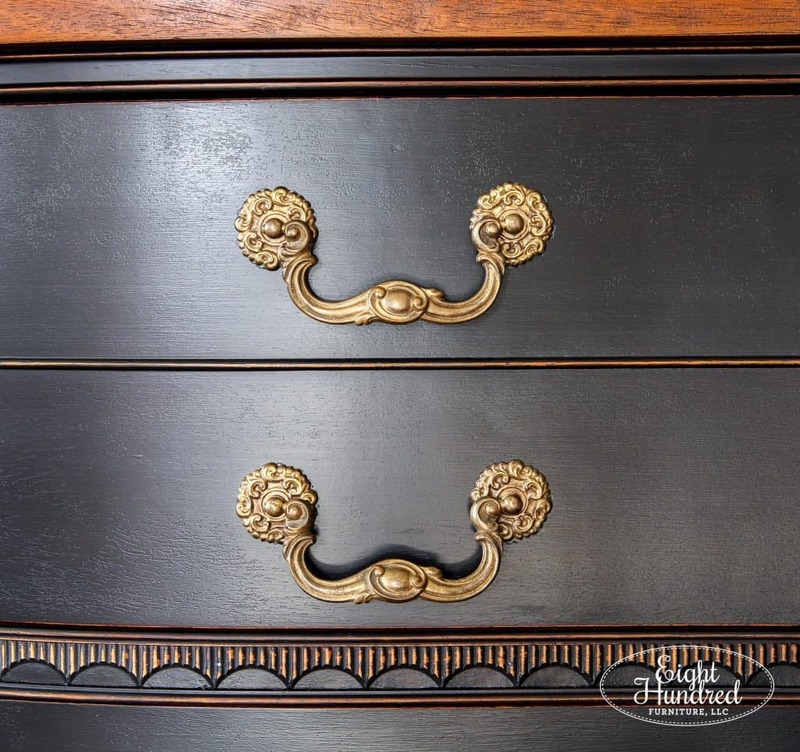 To brighten the hardware, I used European Gold Rub N’ Buff metallic wax and a stencil brush. They really pop now against the Lamp Black Milk Paint. The top was stripped, sanded and refinished in Nutmeg Gel Stain by General Finishes. 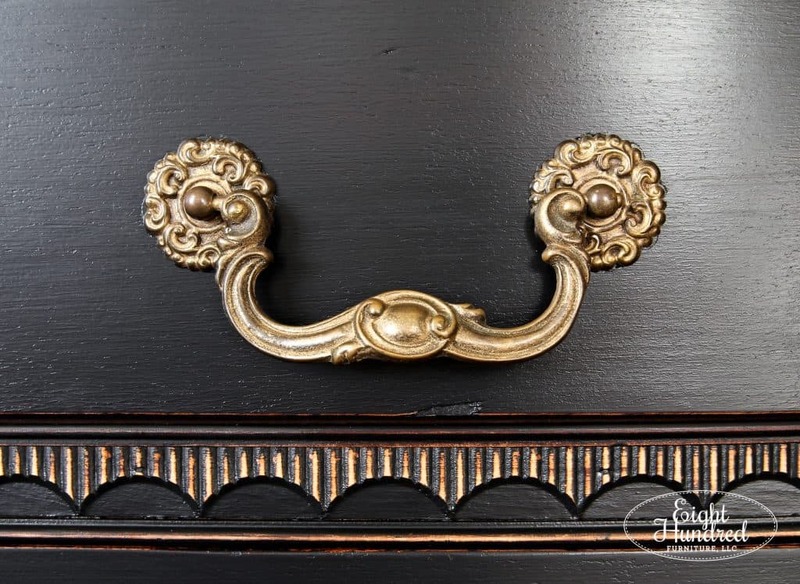 This lovely warm brown stain ties in nicely with the bits of mahogany wood peeking through the paint. This piece is available at Morgantown Market for $455 if you’re interested. It measures 56 inches long, 21 inches deep and 34.5 inches tall. It’s been sealed with several coats of High Performance Satin on the top and Flat on the bottom, so it’s quite durable. There are three drawers on each side for a total of six, giving you plenty of storage. They’re in great shape, slide in and out easily and are super clean inside, making this piece ready to go! 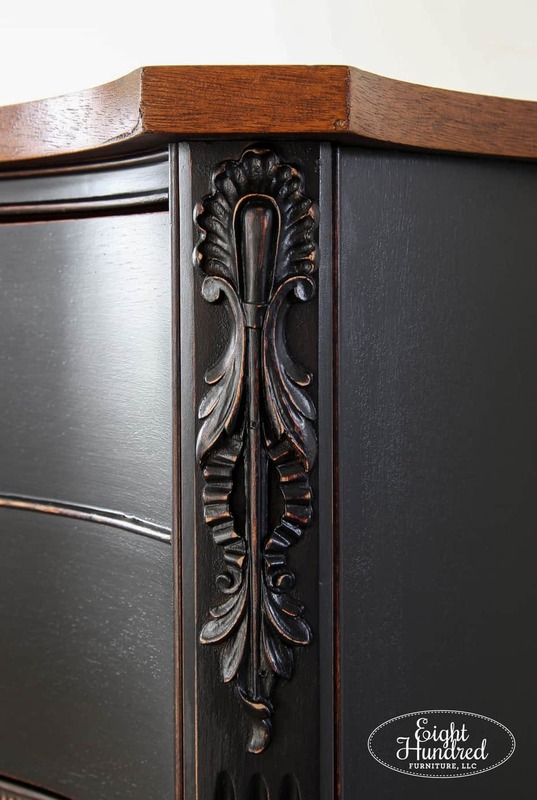 Want to replicate this look on your next project? Here’s a shopping list of the products I used. You can pick these up at either of my retail locations! 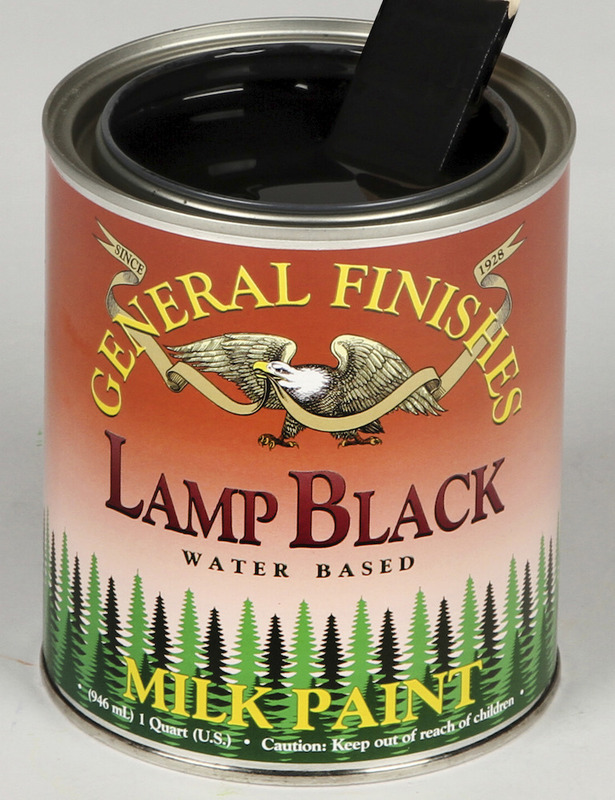 Previous Post: « Which Milk Paint Should You Use?